This post is the third in a series introducing the 12 teams participating in the 2018 Wood Stove Design Challenge in November. Dusty and his father with their stove. The stove is so novel that the EPA can’t figure out whether to call it a wood stove or a pellet stove. That’s because it’s neither—or both—depending on how you look at it. The stove burns logs that are pressed out of sawdust. The logs are automatically fed by a gravity system one after the other. There is no auger, which all pellet stoves have, but the stove achieves consistently high efficiency and low emissions that no wood stove can get. It's the first one of its kind on the market, and the EPA and the entire stove industry doesn’t quite know what to call it yet. This father-son run business team got into the industry after years of admiring the work of Frank Reed of Hayden, ID, a long time friend of the family. Reed first designed the stove on a dare in 2010 to prove that you can run a stove by burning a single log at a time. The stove had been heating his shop for 7 years. The son of the team, Dusty Henderson, kept asking Reed what he was planning on doing with the innovative design. 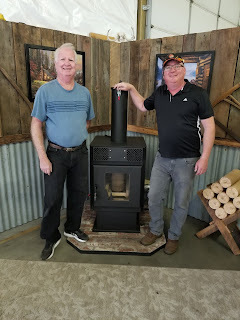 Reed responded “nothing.” Dusty and his father then bought and patented the design, convinced that it was marketable and could fill an important gap in the residential wood and pellet stove market. With an educational background in criminal justice, Dusty would seem to be an unlikely entrepreneur to bring a novel stove to market. However, Dusty recalls being “mechanically inclined” from a young age and he always wanted to bring a product of his hard work to the marketplace. Dusty’s entrepreneurial drive along with his shared hobbies with his father first brought them to work together right after Dusty graduated college, when they began a contracting business together. Now, more than twenty five years later, Dusty and his father have developed Reed’s design, of which they have complete ownership. 509 Fabrication’s stove is unlike any other on the market in that it runs on compressed logs rather than cordwood or pellets. The stove, called the Optimum, continues to be classified as a pellet stove by the EPA, a strange designation since consumers are not allowed to burn pellets in it. The EPA is increasingly focused on ensuring that stoves be advertised only to burn the fuel that they were tested with, as part of a renewed education effort. 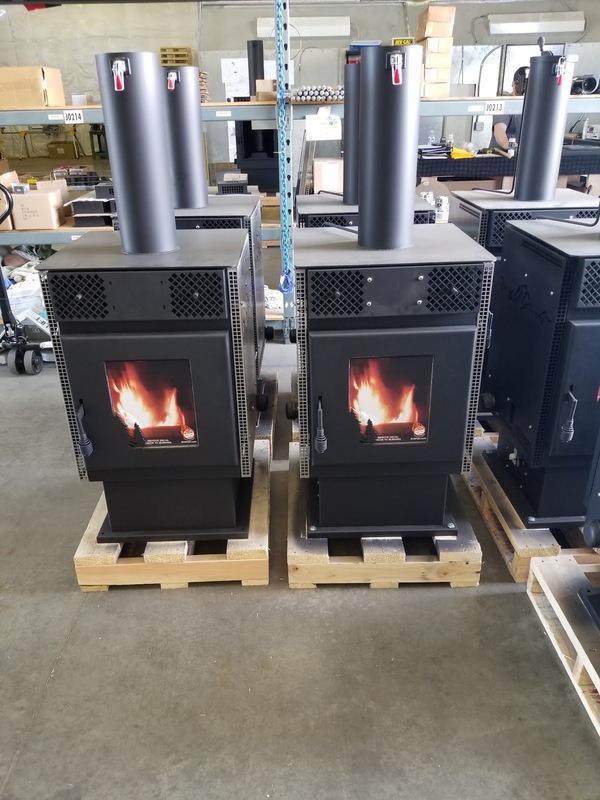 “Listing us as a pellet stove is not good for our business and we don’t want the EPA creating confusion about our product—which is already unique enough,” Dusty said. The Optimum burns one compressed log at a time, seamlessly from one end to another, and can be loaded with 3 logs at a time. Unlike a pellet stove, where the operator can adjust the amount of fuel going into the burn pot, the Optimum is adjusted solely by the amount of air getting to the fuel. Heat settings are controlled through the simple opening and closing of the air valve. Dusty and his father had to experiment with feed tubes and the early models used feed tubes at an angle, instead of vertically as they do now. The vertical feed tube allows for “more room to add heat exchangers” and ensures consistently high efficiencies at all burn rates. Getting the right amount of combustion air at each of the 3 heat settings was perhaps the biggest challenge. “A big issue was finding the right fuel to air ratio, and then figuring out how to get that air to the right places,” Dusty said. 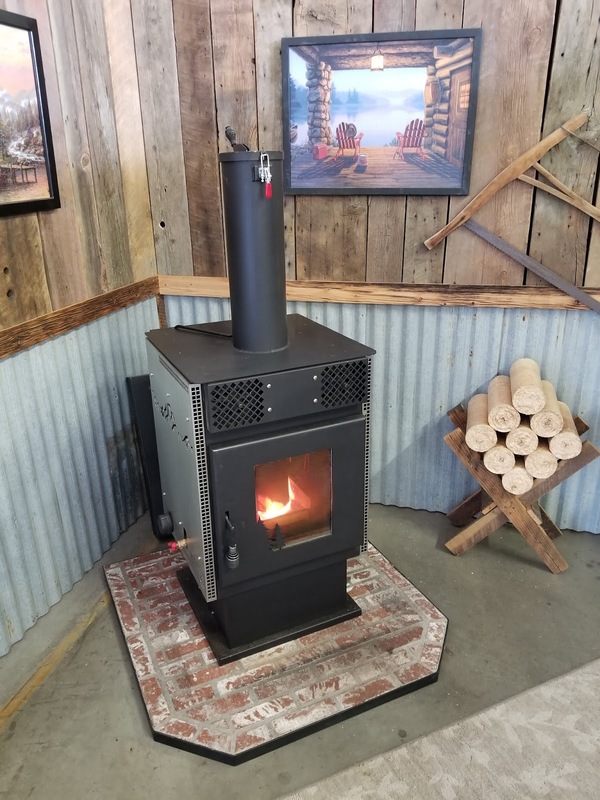 This is one of the stoves competing in the 2018 Wood Stove Design Challenge that is already certified and on the market and thus has third party testing data available. The Optimum was certified at 1.5 grams of PM per hour and 78.8% efficiency and they post their lab report (pdf) on their website as required by the EPA, unlike some companies that still don't do that. The report shows emission and efficiency levels at different heat setting and the Optimum may be the first wood or pellet stove to have such a high, steady efficiency, ranging between 77.2% and 79.5% on 6 test runs. However, Dusty and his father went through many different prototypes until they landed on the final model shown above. The team constantly altered the models pre- and post-testing to improve efficiency, reliability, and overall quality. Below are a couple of the old prototypes that were ultimately changed to create the Optimum we see today. Dusty has seen the compressed log industry grow throughout the years. It continues to spread, even to far flung places like Alaska where cities and communities are battling excessive wood smoke and pressed logs could be a valuable fuel to help reduce emissions. The stove can be used with pressed logs made by a variety of companies across the US, including North Idaho Energy Logs, Lignetics in Sandpoint, ID, Home Fired Logs in Ferndale, WA, and Superior Pellet Fuels in North Pole, AK. What cannot be used in the stove are logs made with wax or coffee grounds. Those products typically emit far greater emissions and will clog up the Optimum and are often far more expensive than natural pressed logs, which like pellets, have no additives whatsoever. Pressed logs and wood bricks are the same product in a different shape and they often cost about as much as cordwood when measured by BTUs that go into the house. Cordwood is much cheaper by volume but is much less dense, and cord wood stoves usually only get between 60-70% efficiency. 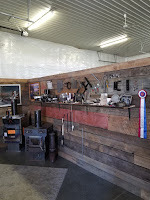 509 Fabrications is currently looking to expand their market penetration, a common goal for most stove manufacturers. Many stove dealers have non-compete agreements where they cannot sell other brands of pellet stoves, but these would not apply to the Optimum. 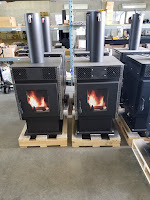 The company is also looking for more recognition from change out and incentive programs, as their hybrid stove may appeal to people who have burned cord wood, while putting out consistently low PM like a pellet stove. At the Design Challenge in November the stove will be tested again to see if it can meet—or exceed—the emissions and efficiency of other stoves in the competition. All of its other features and controls will also be assessed by a team of independent experts. Only a few stoves will win awards at the event and all will be ranked against one another. Click here to learn more about 509 Fabrications and the Optimum.